A couple of years ago I had the very good fortune of traveling around the world for business. When the working day was done, I’d set out on my own to find the best oyster or seafood joints that I could find. Sure enough, I came across a handful that are worth sharing with you. 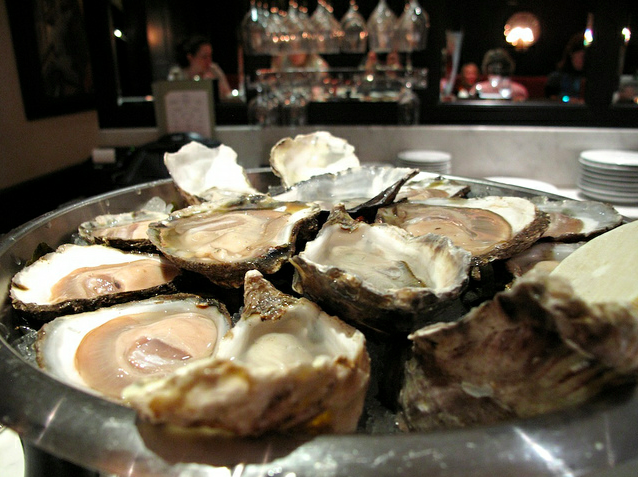 I experienced some of the most flavorful and potent Flats (aka Belons) and Pacific oysters at Bentley’s. Jersey Coast’s are delightful (and they’re from Jersey island near Northern France, NOT Snooki’s Jersey Shore). Perch yourself at the bar and consult the shucker. He won’t steer you wrong with oyster and wine pairings. Tip: On the menu, “Native” means they are wild (more expensive). “Rock” means farmed. They are sorted and priced by size, with the smaller numbers being larger (No. 1 and 2’s are perfect for a large oyster lover). 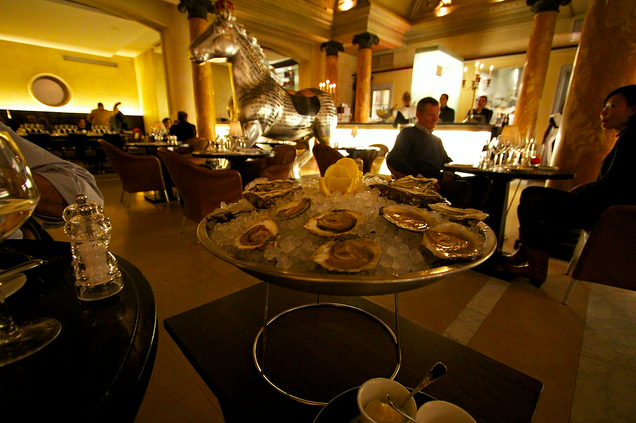 With a large selection of oysters from Europe, Asia and America, Belga Queen excels in offerings and ambiance. The decor is opulent and chic, perfect for a leisurely evening with your favorite bon vivant friend. They primarily serve French oysters (loved the Fine de Clairs and Speciales Vertes) but also a few Dutch gems. If you have the budget, order a couple of each. Tip: True to French style, the oysters will arrive still attached to the bottom shell. So before you try to sexily slurp it down, discretely detach it with your oyster fork before knocking it back. This intimate seafood shack is made up of a small, festive bar and a couple of tables. The entire venue can only hold about a dozen people, max. 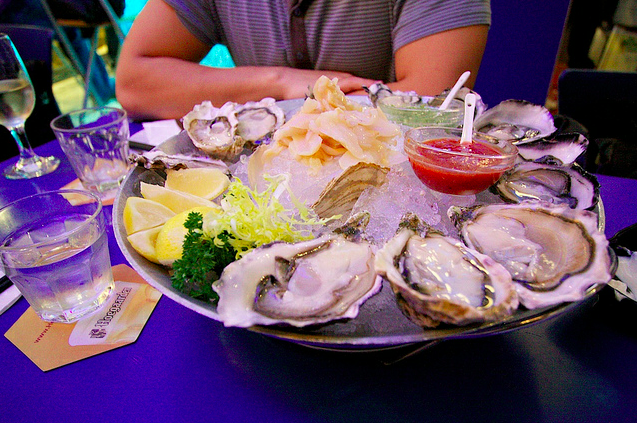 The menu is worth the wait though — oysters are flown in regularly from Europe, Australia, and even South Africa! Must try’s are the Special Gillardeau, Namibia, and Tasmania (one of my favorites of all time). Tip: Call ahead and ask about the specials. Some items must be pre-ordered. They usually have an amazing selection of fresh sea urchin, clams, and crab. San Francisco’s new Waterbar is magnificent. The oyster menu includes not only tasting notes but also the name of the oyster farmer! I went from the 42" waist to 38" in ~6 weeks. She went from size 20 to ~17 in 8 weeks.